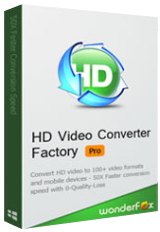 HD Video Converter Factory Pro 14.3 war am 5. Februar 2018! als Giveaway verfügbar! WonderFox HD Video Converter Factory Pro Lebenslange Lizenz (1 PC). Nur $19.95 (Normalpreis $39.95). WonderFox HD Video Converter Factory Pro Family Pack (3 Ps). Nur $29.95 (Normalpreis $79.95). HD Video Converter Factory Pro+WonderFox DVD Ripper Pro Golden Pack. Nur $34.95 (Normalpreis $69.95). Dieses marktführende DVD Konvertierungs- und Backup-Tool bietet euch die schnellste Lösung zum Umwandeln und Sichern von DVDs in eine Vielzahl an Formaten. Die neuste Funktion: Schnelles Kopieren von DVDs als ISO Image und DVD-Ordner. WonderFox DVD Video Converter hilft euch beim Schützen der DVD-Originale und erstellt Backup-Dateien ohne jeglichen Qualitätsverlust. Kompatibel mit den neuesten Geräten wie z.B. iPhone 7 (Plus), Apple TV 3, Samsung GALAXY S6 edge+, neue Fernseher usw. I often think it's the same again and again, with the programs in here, only the publishers are different. I think the publishers are the same too. They just change their names to appear different. Kim Olsen, I think the publishers are the same too. They just change their names to appear different. I no longer trust WonderFox giveaways. They had this and another one a couple of years ago. I even left positive comments on GOTD at the time, describing how easy it was to install and register. Then when I went to use the program a month ago, a message popped up "Not registered. Please buy the licence to use." I checked the other WonderFox software I had, and got the same result. So don't believe anything they say about "good for lifetime." I no longer trust WonderFox giveaways. They had this and another one a couple of years ago. I even left positive comments on GOTD at the time, describing how easy it was to install and register. Then when I went to use the program a month ago, a message popped up "Not registered. Please buy the licence to use." I checked the other WonderFox software I had, and got the same result. So don't believe anything they say about "good for lifetime." 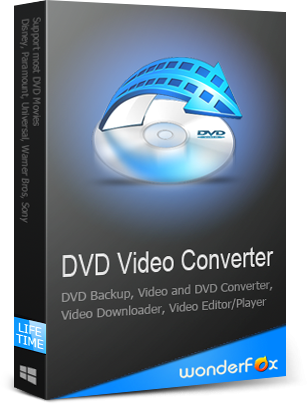 "HD Video Converter Factory Pro 14.3"
Installation and registration without any trouble.